Learn how to turn back, not sway. Let’s talk about hip turn. James Kinney, one of our Golf Digest Best Young Teachers and Director of Instruction at GolfTec Omaha, says that from the data GolfTec has collected, they’ve found lower handicap golfers have a more centered lower body at the top of the swing. Meaning, they don’t sway. If you’re swaying off the ball, you’re moving yourself off of your starting position. The low point of your swing moves back when you sway back, so you’re going to have to shift forward to get your club to bottom out where the ball is. That takes a lot of timing, and is going to end up producing some ugly shots. So, instead, Kinney says you should turn. To practice turning, Kinney says to set up in a doorway. Have your back foot against the doorframe. When you make your lower body move back, your hip will hit the door fame if you’re swaying. If you’re turning, your hips are safe from hitting the frame. Remember that feeling of turning when you’re on the course and your ball striking is going to get a whole lot more consistent. Sign Up Now to Join the Monday Night League at Pine Lakes! Get Out, Meet New People, and most Importantly, PLAY MORE GOLF! You will not have to play every week. You can play as little or as many as you want. Please email Lance at pinelakesgc@gmail.com to sign up or ask questions. There are a few spots remaining in the 1st Annual Morton Youth Baseball Association Golf Outing. The outing is Monday April 22nd, 2019. To reserve your 4some – contact Jason Vallar at jvallar9@gmail.com or contact him at 217-299-7077. Also – guests of golfers can eat the post-outing buffet for $30 per person. 14 and under eat free. https://golfcoyotecreek.com/wp-content/uploads/2019/04/pinelakes-9900000000079e3c-1.jpg 675 900 Teesnap Developer http://golfcoyotecreek.com/wp-content/uploads/2016/03/logo.png Teesnap Developer2019-04-10 14:23:192019-04-09 14:24:44Sign Up Now to Join the Monday Night League at Pine Lakes! Get Ready for Opening Day at Pine Lakes! We are so happy to announce Opening Day at Pine Lakes Golf Club! Come golf with us, starting on March 29th, 2019! Clink the link below to book your tee time! https://golfcoyotecreek.com/wp-content/uploads/2019/03/club-course-equipment-424732.jpg 1280 1920 Teesnap Developer http://golfcoyotecreek.com/wp-content/uploads/2016/03/logo.png Teesnap Developer2019-03-21 18:21:162019-03-21 18:21:16Get Ready for Opening Day at Pine Lakes! We are so happy to announce Opening Day at Coyote Creek! We will be running our special rate of $3 off regular green fees, now – April 15th. Clink the link below to book your tee time while this special rate lasts! https://golfcoyotecreek.com/wp-content/uploads/2019/03/ball-golf-golf-ball-97768.jpg 821 1280 Teesnap Developer http://golfcoyotecreek.com/wp-content/uploads/2016/03/logo.png Teesnap Developer2019-03-21 10:00:262019-03-20 21:14:08Announcing Opening Day! Haven’t had enough golf in your life this week? Check out our featured golf tip. – Your Friends at Coyote Creek Golf Club! First, place your hands on the grip, keeping the clubface square. Then, aim the square clubface to the target on the line you established from behind the ball. The leading edge of your golf club will be at a right angle to the target line. Next, align your body (checking feet, thighs, hips, and shoulders) parallel and left of the target line, addressing the golf ball. Last, with confidence, trust your aim and alignment and make your best effort to create the shot. Even if you do not hit it perfectly, it will likely be on line, heading towards the intended target—a great miss! Needing to Book a Wedding or an Event Venue Soon? We would love to host your wedding ceremony and reception, bridal shower, holiday party, corporate event, anniversary celebration, baby shower, fundraiser, or class reunion. If you require a meeting room for your business meeting or seminar, we can do that too! The possibilities are endless. 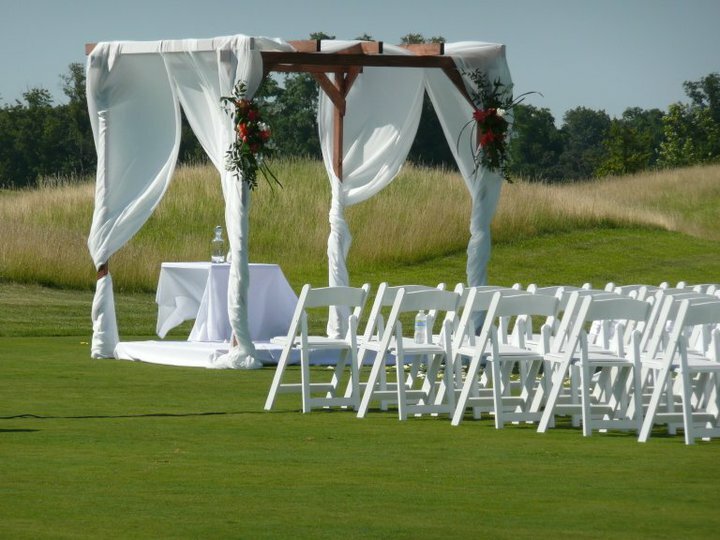 If you’re looking for the wedding experience of a lifetime, Coyote Creek Golf Club can deliver. We offer indoor and outdoor ceremonies, receptions for up to 400 guests, fabulous catering, and a sensational staff to meet your every need. Learn More About Weddings and Events at Coyote Creek! Come Visit Coyote Creek Golf Club for This Week’s Specials! Crispy fried shrimp with creole seasoning, served on a whole wheat hoagie roll with shredded lettuce, onions, pickle, and remoulade sauce. Our Special blackening sauce on a grouper filet, served on marble rye bread with our fresh coleslaw, Swiss cheese, and 1000 Island dressing. Gift Certificates, Play Pass Cards, and Range Passes, all available to purchase online! Check out our featured golf tip! We’ll be posting these from time to time, helping to make sure you stay at the top of your game! Playing out of a sand trap is many a golfer’s worst nightmare. The secret is to aim for the sand in front of the ball, to open the club face and to go through with the shot. 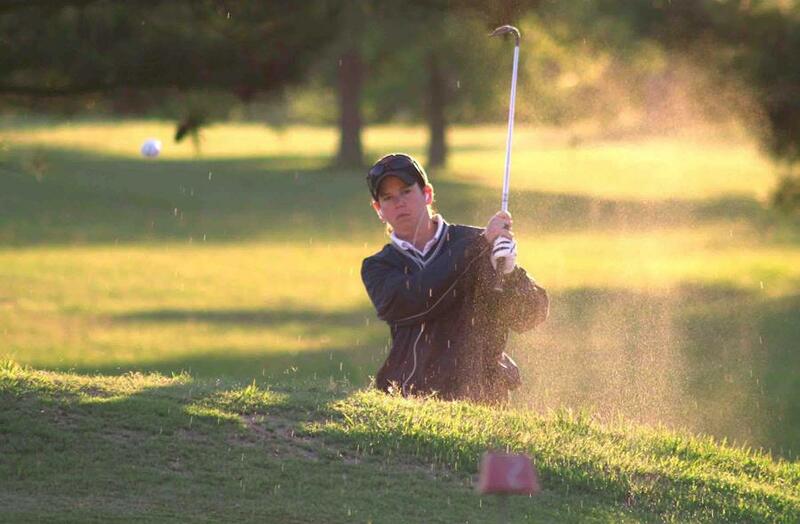 Many golfers stop with the shot as soon as the club makes contact with the sand. The idea is not to get distance, but to pop the ball up in the air and let it fall softly on the green. You have all the fun, and we’ll cook and clean up the mess!! Doors open at 4:30PM, and the game starts at 5:30. 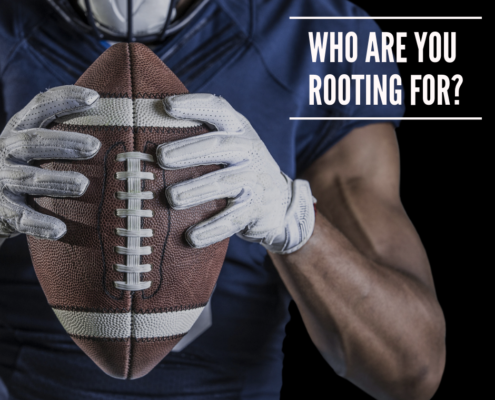 View the game on our big projector screen upstairs, along with two other big flat screens around the room. We have limited seating, so please call ahead and make a reservation to ensure a table at (309) 633-0911. Don’t Forget! Reserve Your Table For the Superbowl Party! https://golfcoyotecreek.com/wp-content/uploads/2019/01/pexels-photo-1353369-1.jpeg 893 1280 Teesnap Developer http://golfcoyotecreek.com/wp-content/uploads/2016/03/logo.png Teesnap Developer2019-01-31 11:12:342019-01-31 11:12:34Don't Forget! Reserve Your Table For the Superbowl Party! Superbowl Watch Party at Coyote Creek Golf Club! https://golfcoyotecreek.com/wp-content/uploads/2019/01/field-sport-ball-america.jpg 852 1280 Teesnap Developer http://golfcoyotecreek.com/wp-content/uploads/2016/03/logo.png Teesnap Developer2019-01-21 14:58:222019-01-21 14:58:22Superbowl Watch Party at Coyote Creek Golf Club!